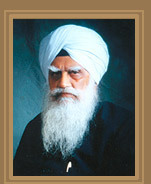 A festschrift, Giani Gurdit Singh 1923-2007, has article by more than 50 contributors, scholars, friends, and political associates, who have written articles about Giani Gurdit Singh ji and his work. It was released on February 24, 2008, on the 85th birth anniversary of Giani Gurdit Singh ji, at Punjab Kala Bhavan in Chandigarh. Sardar Tarlochan Singh, then a Member of Parliament and former Chairman, Minorities Commission, an old friend and associate of Giani ji released the book. Padma Bhushan Prof B N Goswamy, spoke on Giani Gurdit Singh and the impression that he left on the minds of those who met him. Prof Rajpal Singh, Secretary General, Punjab Arts Council conduced the function. He also read aloud some passages from the "Mera Bachpan" chapter of "Mera Pind", and Mrs Poonam Singh, Editor Preetlari read from the chapter "Mera Pind da Muh Mattha". Please click here to read a detailed report on the event. Please click here to get more information about the book and its release. Given below is the table of contents of the book.